Are These Kicks A$AP Rocky’s Signature Under Armour Sneakers? 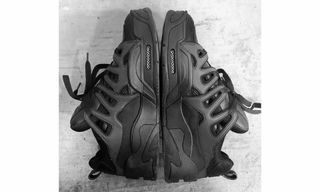 Are These the Upcoming A$AP Rocky x Under Armour Sneakers? 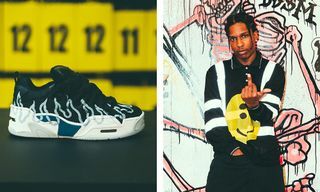 Since announcing their partnership back in September of 2017, fans of both A$AP Rocky and Under Armour have been waiting feverishly for a glimpse at the rapper’s rumored first signature sneaker for the brand. Now, over half a year later, we might actually be getting our very first look at the collaborative sneaker thanks to a photo posted to Rocky’s Instagram. In the post above, he can be seen flexing what look to be chunky, skate-inspired, triple black sneakers. Several people on social media have commented that these sneakers bare a striking resemblance to the Osiris D3. Four Pins even tweeted as much below. 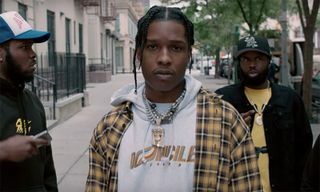 However, if one takes a closer look it seems that the lacing cage is slightly different on the pair that A$AP Rocky is wearing. The cutouts are more jagged, whereas the Osiris lacing cage features rounded, perfectly even cutouts near the midsole. The Osiris model pictured above also looks to have a grey outsole, which Rocky’s pair does not. This follows the video below, in which the rapper can be seen wearing another mysterious Osiris-like sneaker. 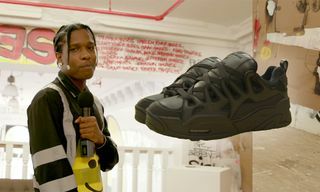 There have been leaks previously, like these sneakers from January 2018, that many claimed were Rocky’s signature model. Ultimately, though, both the A$AP frontman and Under Armour denied all rumors. 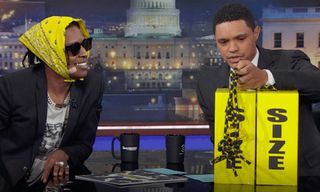 No official announcement has been made as of yet, but this could still be the beginning of the rollout campaign for the first A$AP Rocky x Under Armour sneaker. 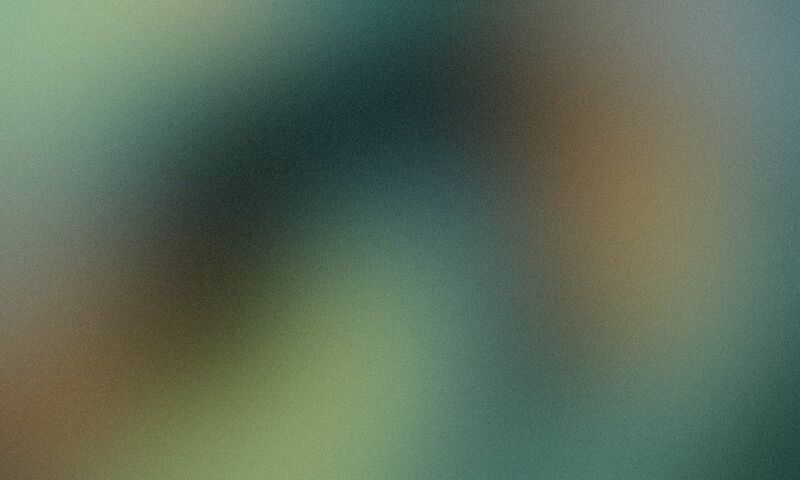 Take a closer look at Rocky’s post above and then let us know if you’re feeling the design in the comments. In other sneaker news, the OFF–WHITE x Nike Air Jordan 1 “Chicago” will be available for retail again in highly limited numbers. Find out more here.